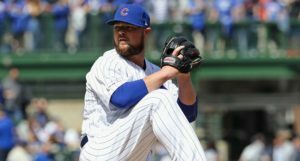 Not long after leaving the home opener with hamstring tightness, we learned that Jon Lester would be heading to the Injured List. His injury didn’t sound particularly severe – and remains as such – but it was just enough to count him out for his next scheduled start, which made a quick trip to the IL and easy decision – particularly at his age, in this weather, and given his importance to this roster this season. Not long after that call was made, however, the question dawned on all of us: it’s Tyler Chatwood time, isn’t it? 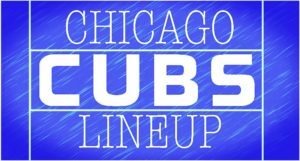 With Mike Montgomery, the nominal “sixth” starter in the rotation, on the injured list himself, Tyler Chatwood – already stretched out, already on the active roster, and possibly with the most potential upside – made the most sense to take his place. 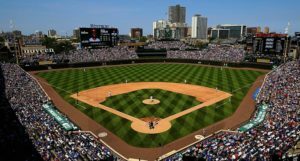 Maddon: “We have Chatwood situated for Sunday” vs. Angels. Obviously, Chatwood’s 2018 season, his first with the Cubs, was a complete disaster. He basically lost any semblance of control/command and ran an historically bad walk rate (honestly, we can basically call it the yips). And despite signing a relatively beefy three-year deal just last winter, he was out of a job in the rotation before the season was through. But 2019 is a new year. Chatwood has begun the season in the bullpen and after a rough first outing (1.2 IP, 2H, 3ER, 2BB, 0Ks) has made two nicer appearances in a row (combined: 3.1 IP, 3H, 1ER, 2BB, 5Ks). And although he’s been a reliever to start the year, he was stretched out as a starter in Spring Training and has tossed more than one inning in each of his three appearances this year. His presence on the 40-man and 25-man roster just made the decision that much easier. I wouldn’t expect a ton out of Chatwood on Sunday – he’ll have to earn any expectations before they’re given – but everything that made him an intriguing free agent in the first place (killer movement, mid-90s velocity, and generally great stuff) – is still there. If he can even somewhat command his pitches enough to keep the free passes down, he’s usually capable of striking guys out and inducing a ton of weak contact. Again, he will have to prove that many times over first, but it’s still all there. For what it’s worth, the Angels have been TERRIBLE against lefties this season (65 wRC+), but actually pretty good against righties (102 wRC+). 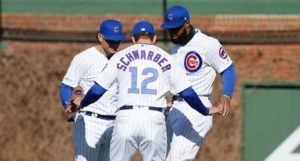 That stings a bit, as the Cubs shift from a veteran southpaw like Lester to Chatwood, but that’s the hand they were dealt. In any case, if all goes well, this should be Chatwood’s only spot start for now. After that, both Lester and Mike Montgomery should be back, healthy, and ready to go.